Dive into a sea of flavor with a seafood salad sandwich. The mellow tastes of the crabmeat and mayo are contrasted by rich, hearty spinach, and placed between two thick slices of nutty whole grain bread. 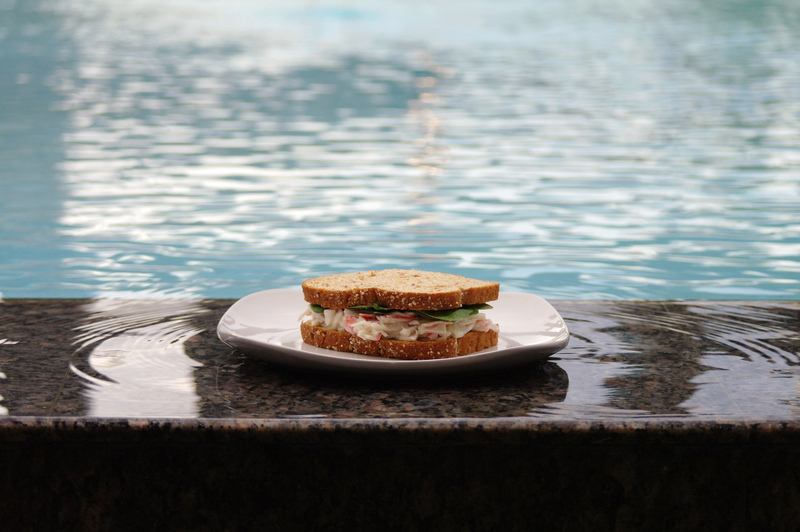 Let the flavor waves wash over you, and enjoy a sandwich that is light, savory, and deliciously refreshing.